Rewind Sundays is back this August 19th where we will recognize the Roots and Culture of Reggae music in an edition called Jamaica Love. Doors open at 8pm and admission is only $15. Discounted tickets will ONLY be available online. Music by Highlanda Sound with Kahlil Wonda, Copper Ash, and Natural Vibes with Rico Vibes and Junior Culture. Food will be provided by Chef Tony and Dionne Robinson. Link Seree Statum-Monrose for bottle specials and reserved seating. Enjoy a music festival that helps you to promote a healthier lifestyle! This fresh, motivating, and exciting open air festival is suitable for all ages! Come out for arts & crafts activities, healthcare presenters, poets, dancers, LIVE reggae music, and much more. July 14th, 2018 from noon to 9:00pm. Come out to enjoy a festival that helps you to promote a healthier lifestyle! 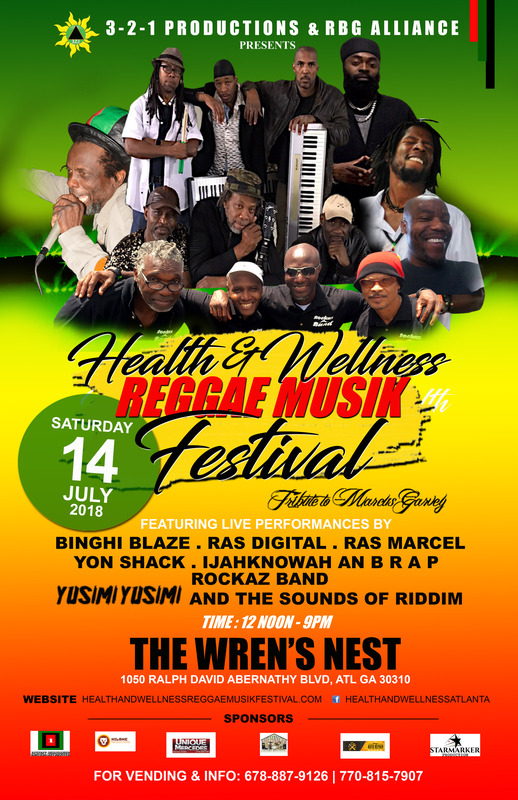 Join us for a jammin’ to your health, Health and Wellness Reggae Musik Festival. This open-air music festival is suitable for all ages! 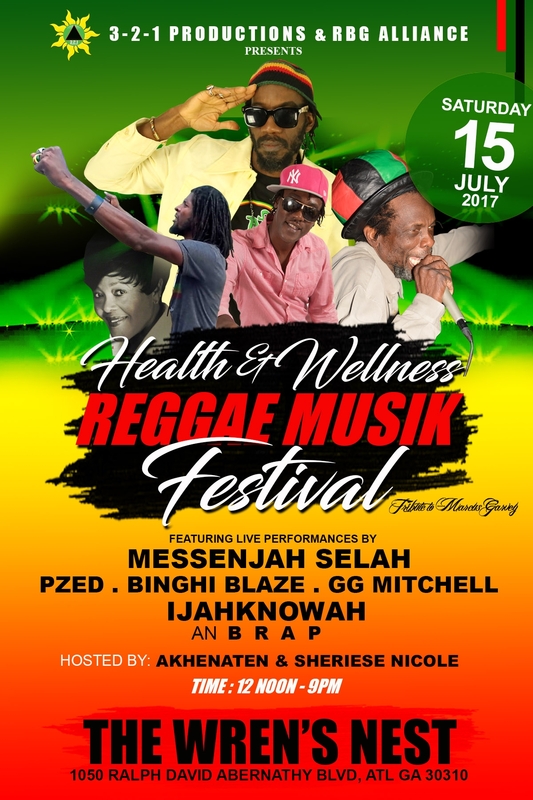 The Health and Wellness Reggae Musik Festival will be held July 15th, 2017, at The Wren’s Nest, 1050 Ralph David Abernathy Blvd. Atlanta, GA 30310 from noon to 9:00 pm. 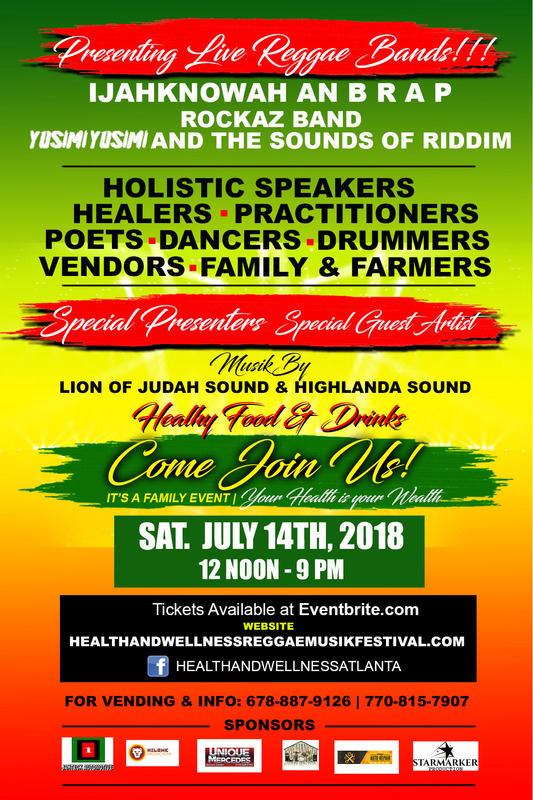 This will be a fresh, motivating, and exciting festival that will showcase arts & crafts activities, healthcare presenters, poets, dancers, LIVE reggae music and much more. Do I bring my printed tickets to the event? Come and join us to celebrate Mother’s Day. For this special edition of Rub-A-Dub Sundays, we’re bringing 3 female guest DJs juggling tunes for reggae sound system lovers! WildPitch Music Hall will be the place to pay tribute to the women in all of our lives and celebrate all mothers in ONE LOVE and harmony!